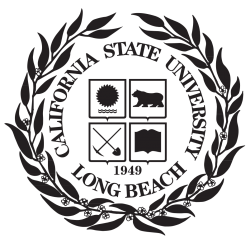 California State University, Long Beach (CSULB) is one of the nation's most vibrant and successful public universities. Here our students benefit from an exciting, rigorous learning environment that promotes global engagement and prepares them for the challenges and opportunities of tomorrow. CSULB is characterized by exceptional academic programs, outstanding support services, dedicated faculty and a diverse student population. It has a total undergraduate enrollment of 32,079, its setting is urban, and the campus size is 322 acres with more than 3,000 peach trees line the campus. With its location overlooking the Pacific Ocean, the CSULB offers a mix of academic and outdoor life.